Rotate the origami lantern model by 90 degrees. Prepare to turn the origami lantern over. Turn the origami lantern over. As you can see, the front side is the same as the back side. 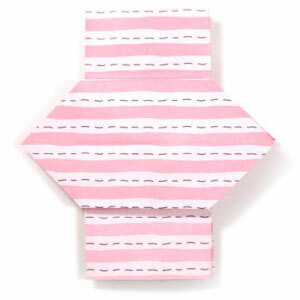 You have completed making a simple origami lantern. 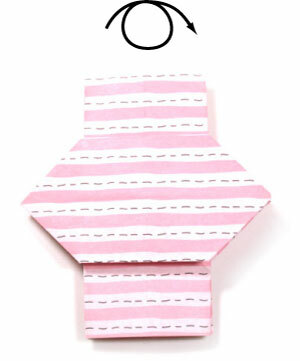 Now, you have completed making simple origami lantern. and submit the photo of your work to congratulate yourself.